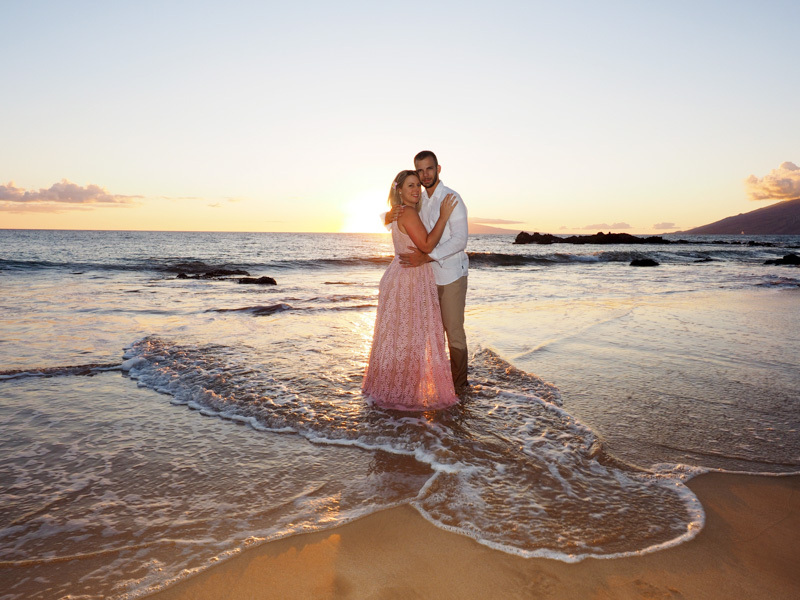 Couples & wedding photography in Maui is a very special event and capturing beautiful, memorable, keepsake photographs of that special occasion is what Maui Island Portraits does best. 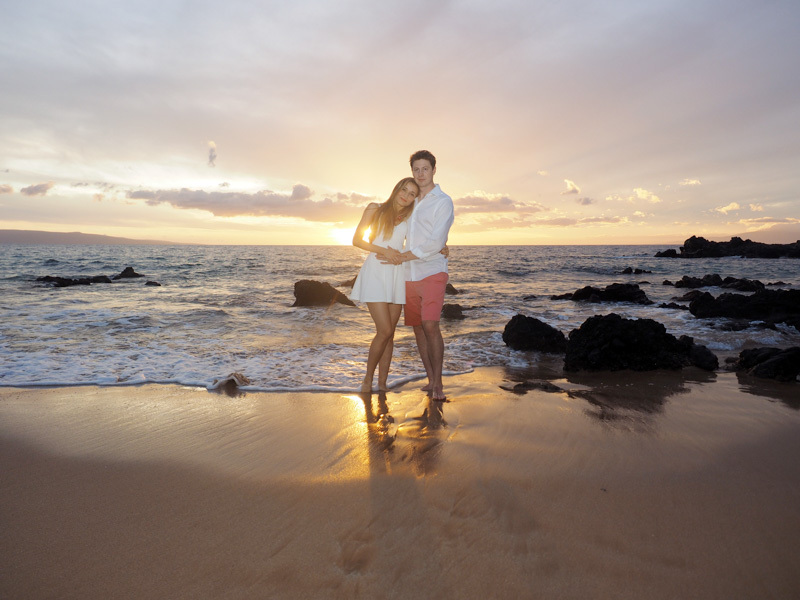 Maui can be a very romantic place, especially on a world-class beach at sunset. 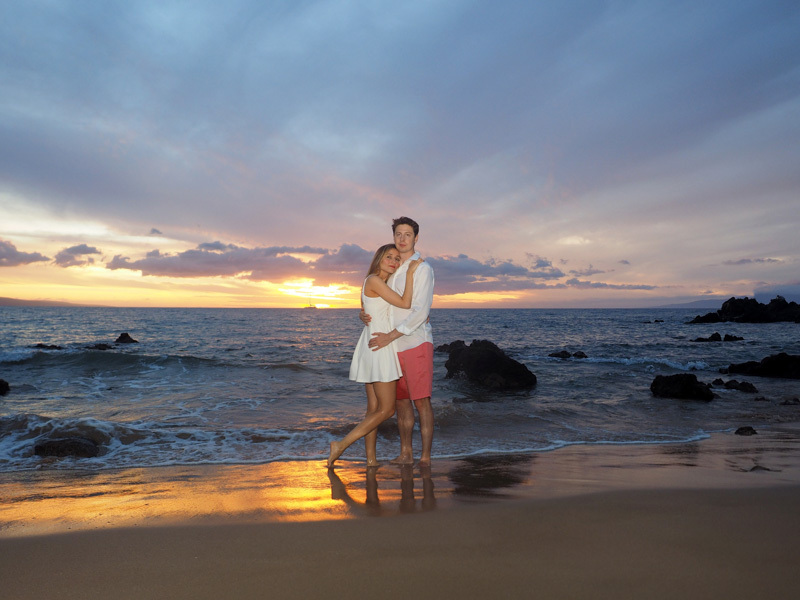 Maui has gorgeous sunsets! 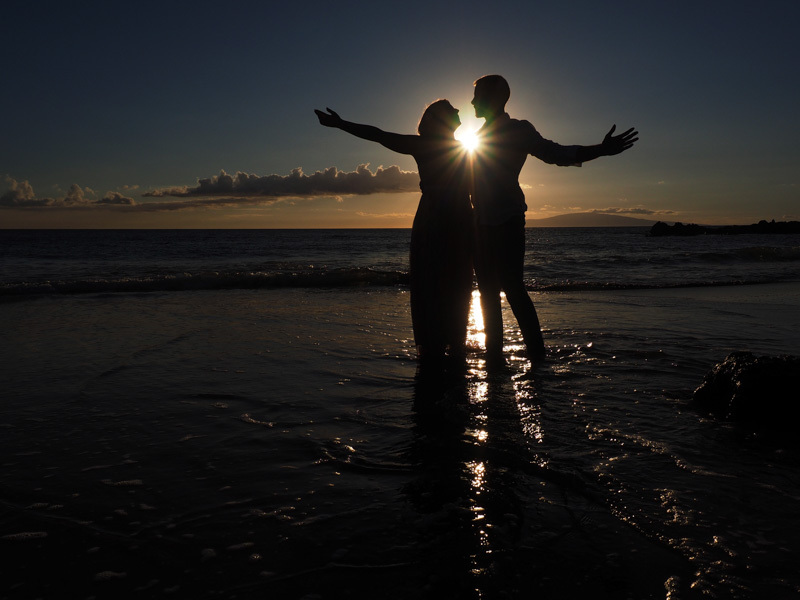 Romantic couples photography on Maui is an activity that can be fun, and provide a valuable take away product, in terms of images you can keep, print and share for many many years, indeed, your entire lifetime. 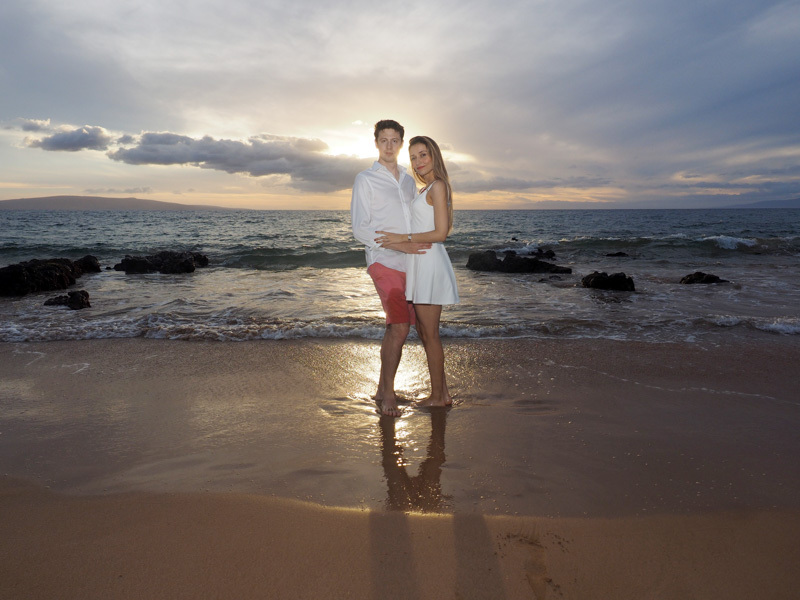 Gwen and Julien were here on Maui from France and wanted some standout images of their time on this magic isle. 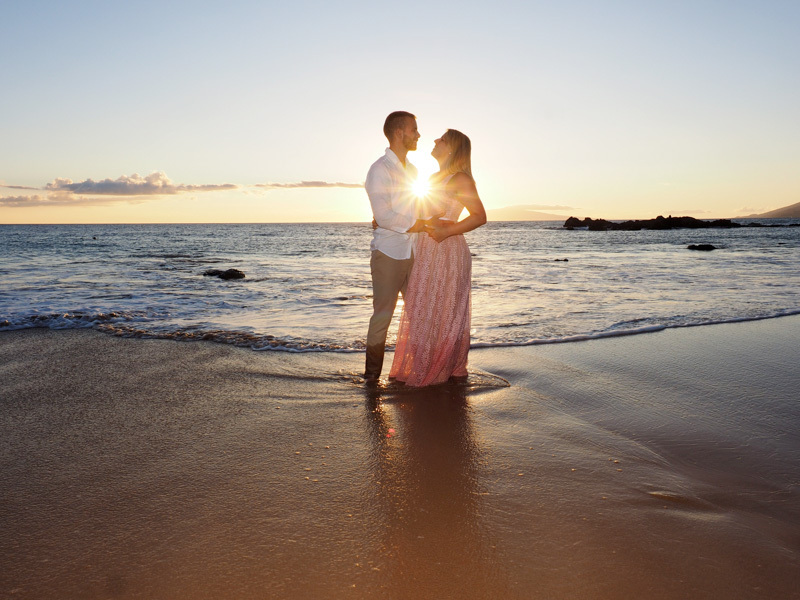 And so, we provided, as did the weather presenting a beautiful show, which is not uncommon. 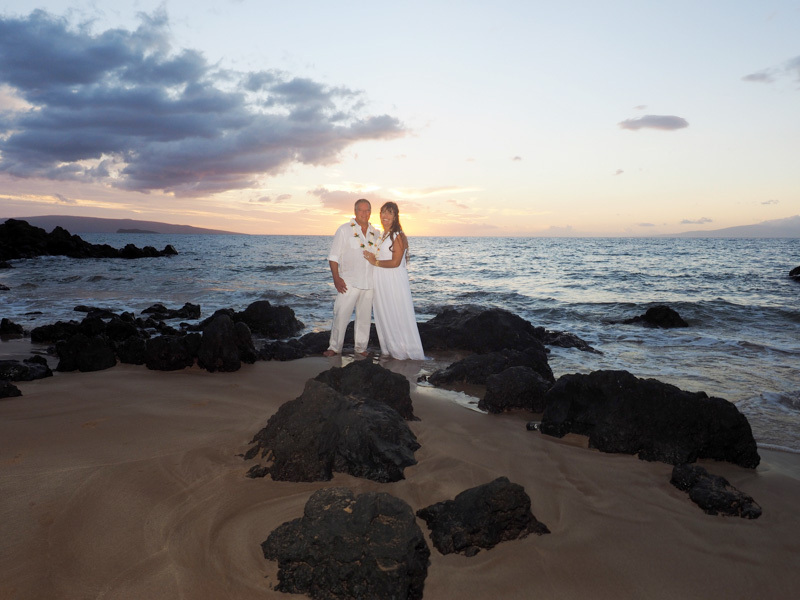 Although there are many beaches to choose from on Maui, one of the better beaches for romantic couples photography on Maui is Kamaole III Beach park, which offers not only a wide expansive beach, but lave rock outcroppings which add to the scene. 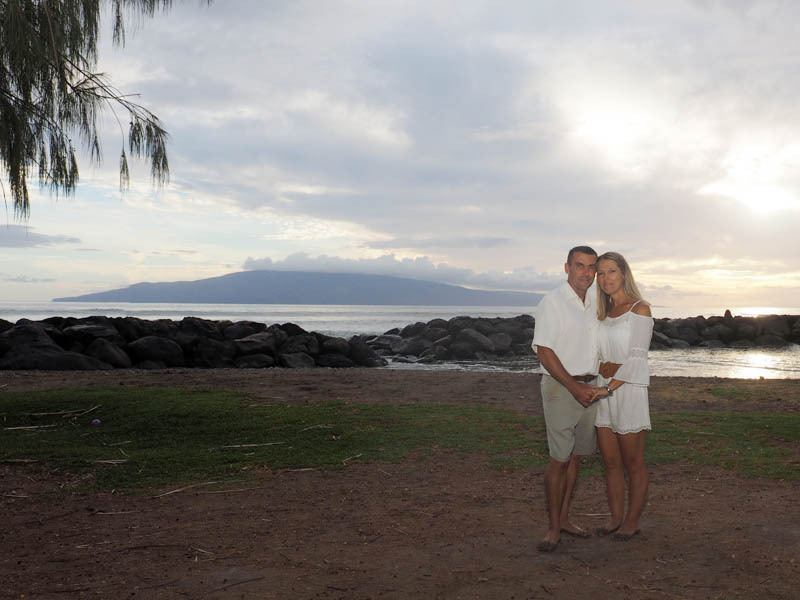 So, if you’re a couple, whether newly wed, or celebrating a silver anniversary (or a more recent one), give us call and let’s arrange one of Maui’s enjoyable activities, with a tangible product you will value for a long time to come. 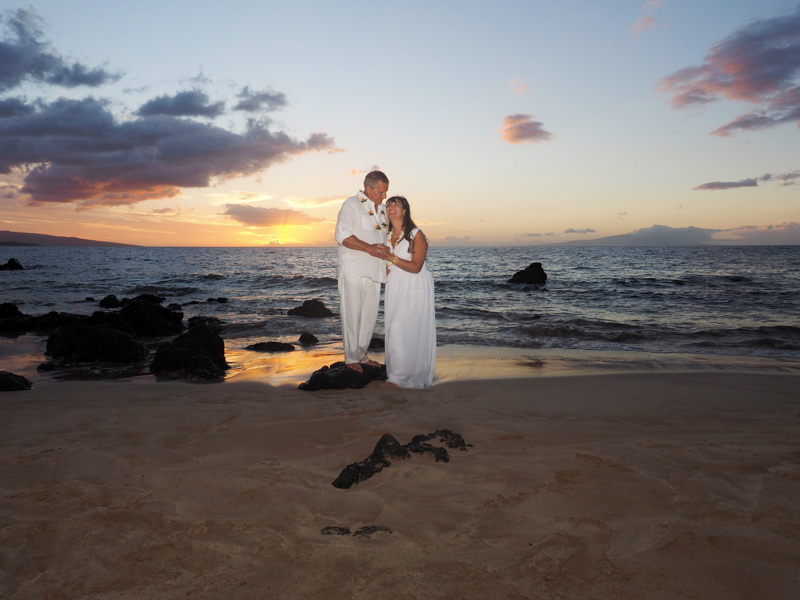 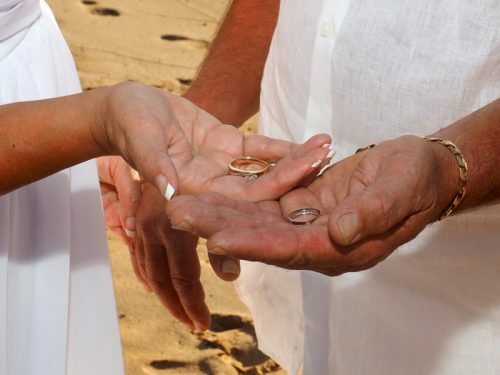 Brad and Nancy were married in a small, simple, sweet ceremony at Palauea Beach, aka White Rock Beach, in south Maui. 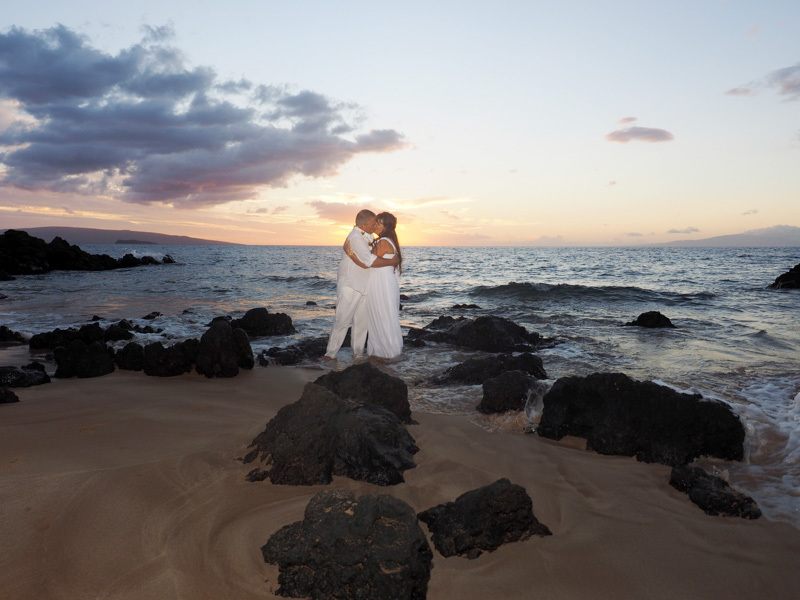 The weather cooperated nicely and the ceremony concluded in time for some nice pictures of the couple along the shoreline at sunset. 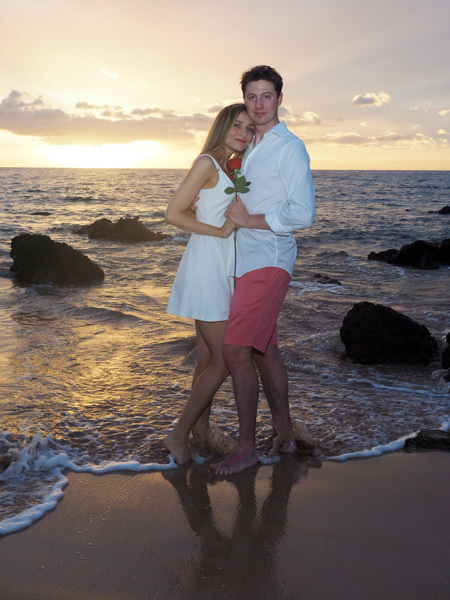 I had the pleasure of taking pictures of Joe & Caitlin in 2011. 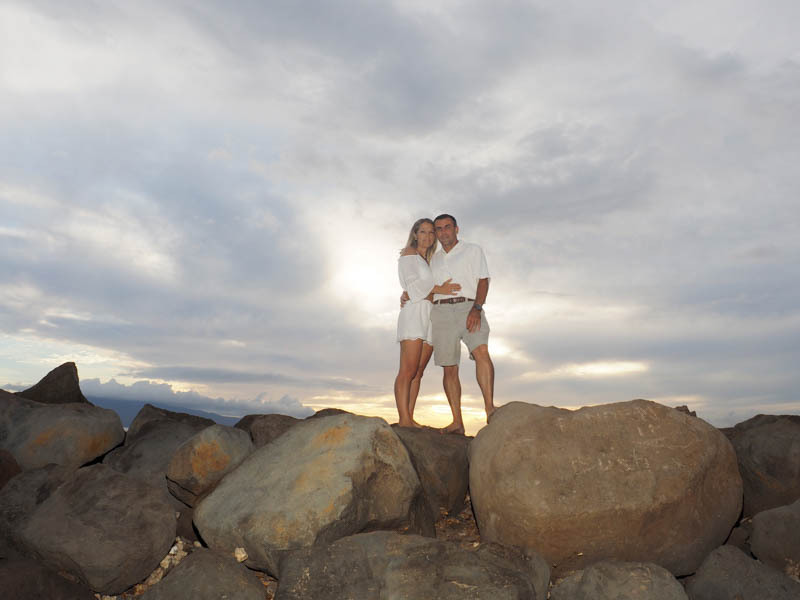 We captured some really nice images at DT Fleming Beach Park, and ‘dragon teeth’ – a rocky outcropping on a bluff below the Ritz-Carlton resort in Kapalua. 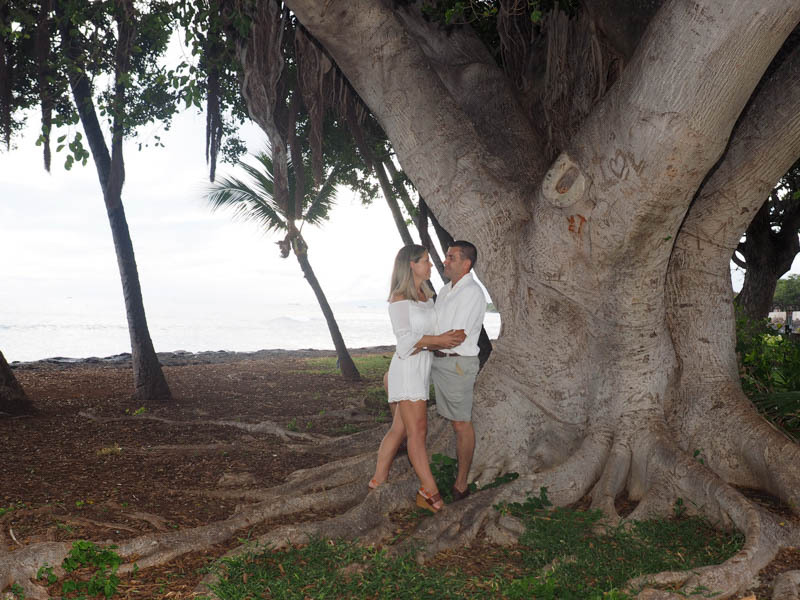 Returning to Maui for their 25th anniversary this year, with her parents, we captured some images at Launiupoko Beach Park, just outside of historic Lahaina Town. 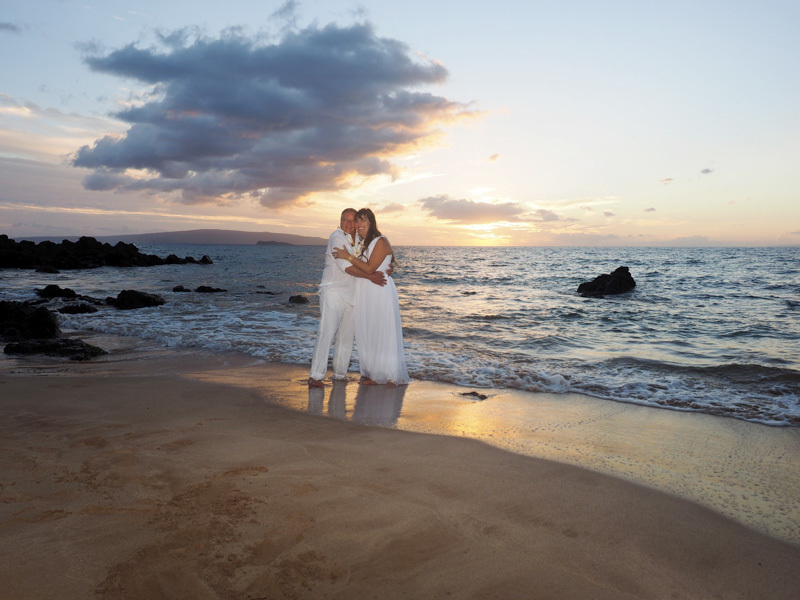 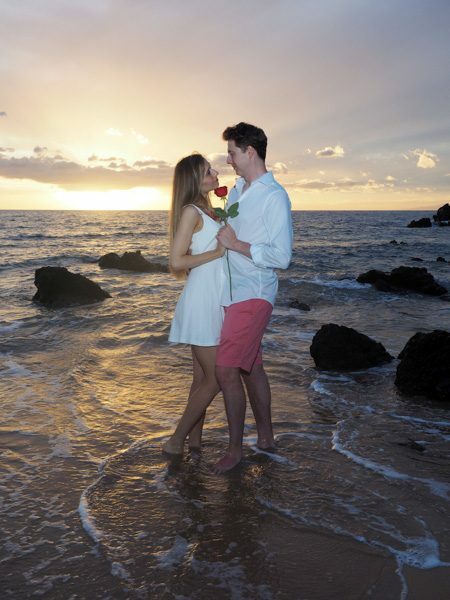 Maui is blessed with dozens of beautiful areas ideal for couples photography at the beach. 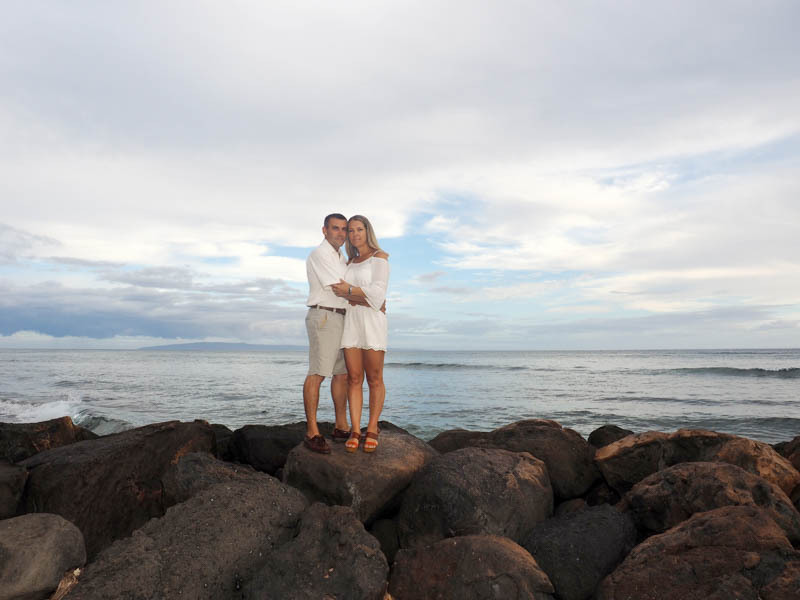 Thank you Joe and Caitlin for thinking of me for your photography, again, here on Maui.